After finishing his dance studies at the National Academy of dance in Rome, Giovanni Di Palma started to work at the Théâtre de l’Opéra de Nice, a few years later accepted a position at the Dresden Semperoper before joining the Leipziger Ballett of Uwe Scholz. After only six months Scholz promoted him principal dancer and created for him major ballets such as the famous solo of the piano version of Stravinsky’s “The rite of the spring”. During his career as a dancer he performed works from: Uwe Scolz, G. Balanchine, J. Kylian, M. Bigonzetti, M. Goecke, G. Tetley, J. Robbins, J. Neumeier and many others from the classical as well as the modern repertoire. In 2001 the “Ballettanz International” magazine gave him recognition as “new talent of the contemporary dance” and received the prestigious “Leonide Massine” award for the art of dance in Positano (Italy) In 2006 the aforementioned ballet magazine awarded him as “most outstanding interpreter” after perfoming G. Tetley’s Pierrot Lunaire. In 2008 he received the award of the 5th edition of “Les étoiles du Ballet2000” (France) In 2009 the “Anita Bucchi” award (Italy) for the production of Giorgio Madia’s “Swan Lake”. Invited as guest star he performed on stages all over the world (Tokyo, Miami, Rome, Marseille, Lodz, Mexico City, Riga and many others). Since 2005 he has started to work as an international guest teacher among others in Japanese capital’s most renowned dance studio “Architanz. 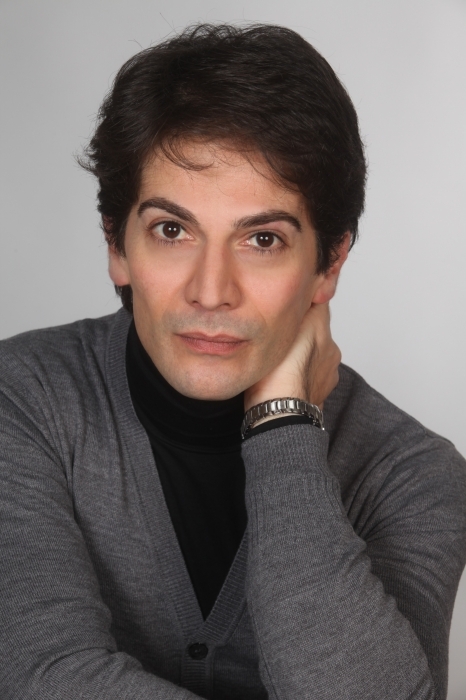 In 2009 he decided to focus on his work as a paedagogue, ballet master and choreographer. Since 2009 another key aspect of his work has become to restage famous choreographies of Uwe Scholz and Marco Goecke with international companies such as Paris, Vienna, Rotterdam, Den Haag, Poznan, Brno, Istanbul, Mulhouse, Sao Paulo, Tokyo and Toronto. Since the season 2013 he is resident ballet master with Sao Paulo Companhia de Dança and besides that creating his first full evening ballet especially for this company: a new choreographic version of “Romeo and Juliet”. Her further choreographed smaller choreographies such as “Valsa” for Sao Paulo in November 2016.